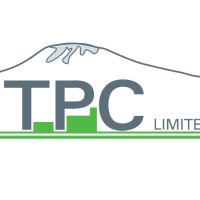 TPC Ltd is one of the fast growing sugar producing companies in Tanzania. The company is situated at the foot of Mount Kilimanjaro, 22 km south of Moshi Municipality. Applcations are invited from energetic, proactive and dynamic Tanzanians to fill vacant position in the General Administration Department. a) Safeguard life and property on the TPC LTD estate and reduce TPC LTD's exposure to loss in order to increase company's profitability. b) Administer the Security Section employees. c) Monitor and manage the Security section personnel and equipment including; duty rosters, attendance, fleet management, maintenance. 3.1. To act as the SM in the SM's absence and when requested to act as such. a) Gate passes for the security section vehicles with the permission of the SM. b) Gate passes for equipment and/or vehicles to leave the clients property in accordance with the published company procedure, but only if he or she has verified that an authorized gate pass signatory from the relevant department has signed either a memo or the relevant paperwork authorizing the equipment or vehicle to leave the companies property. c) Fuel issue notes for the security section vehicles, however he or she must notify the SM if the consumption of the vehicle is above or below the TPC published consumption rate. d) Stores requisitions for consumables as required and routinely used by the security section and budgeted as such. 3.3. Maintain and update and submit to the SM daily the security incident log. 3.4. Chair the daily (work day) security section debrief and act as secretary for weekly coordination meetings with other security contractors working on the estate and the monthly community security meeting. 3.6. To draw up the staff roster allocating personnel to posts as authorized by the CEO. 3.7. Check and sign the activity sheets for Estate Security section which are submitted and signed by the Security Section Clerk and the Shift Controller. 3.8. To manage the operations of the security section's vehicles. 3.9. To ensure that the control room keeps accurate records of; reported incidents, communications, security section's vehicles movements, alarms, guard monitoring equipment and CCTV monitors, and reports anomalies. 3.10. To ensure that the security section vehicles are maintained as required. 3.11. Regularly carry out day patrols and twice a month to carry out a night patrol to check on the guards and ensure that they are alert. 3.12. To issue and sign warning letters and verbal warnings to guards in the absence of the SM. 3.13. To check and capture Estate Security leave applications. 4.1. Should demonstrate ability to work independent and in a team. 4.4. Very organized work approach. 4.6. Able to command and discipline a large guard force organized along paramilitary lines. 5.1. Degree/Advanced Diploma in Business Administration, Law or Sociology. 5.2. Intermediate level Computer skills. 5.3. Must have attended training on Security Operations management. Police or Military training at a level not below Assistant Commissioner of Police or Equivalent in the armed forces. 5.4. Experience of not less than three (3) years at Senior Level or Assistant Security Manager in a large Size Security company would be an advantage.